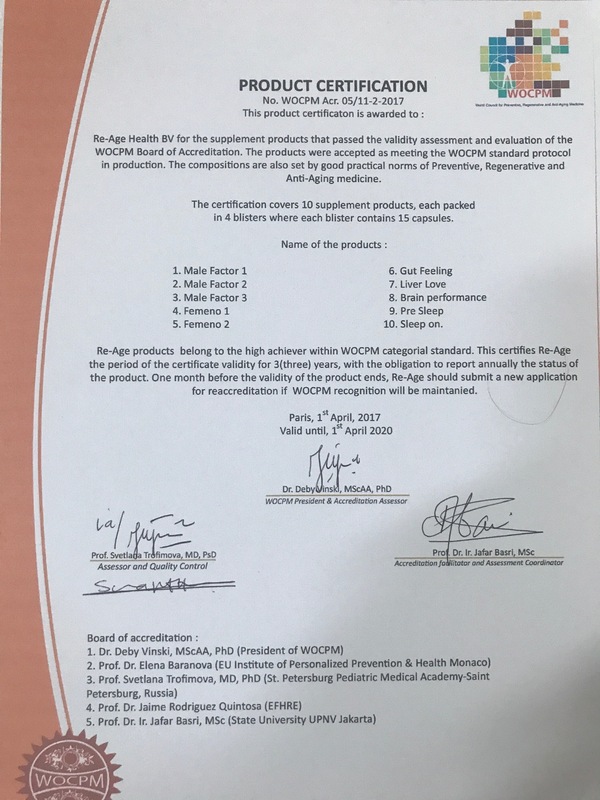 Our supplements are officially accreditated by the World Council On Preventive Medicine (WOCPM). It is a quality stamp for our products and highlights the clinical-scientific basis that underpins our products! The average score for the Re-Age productes is 82/100. We are very proud on this! The WOCPM is an international society of about 200 physicians in Preventive, Regenerative and Anti-Aging Medicine from all over the world. The WOCPM headquarters are on the Avenue des Champs-Élysées in Paris. "The World Council of Preventive Medicine ( WOCPM ) is a not-for-profit medical society dedicated to the advancement of Preventive Medicine to detect at an early pre-clinical phase, prevent, and treat diseases. WOCPM promotes science to optimize the human aging process, thereby combining Preventive Medicine, Regenerative Medicine and Anti-Aging medicine into one integrated clinical and holistic approach. 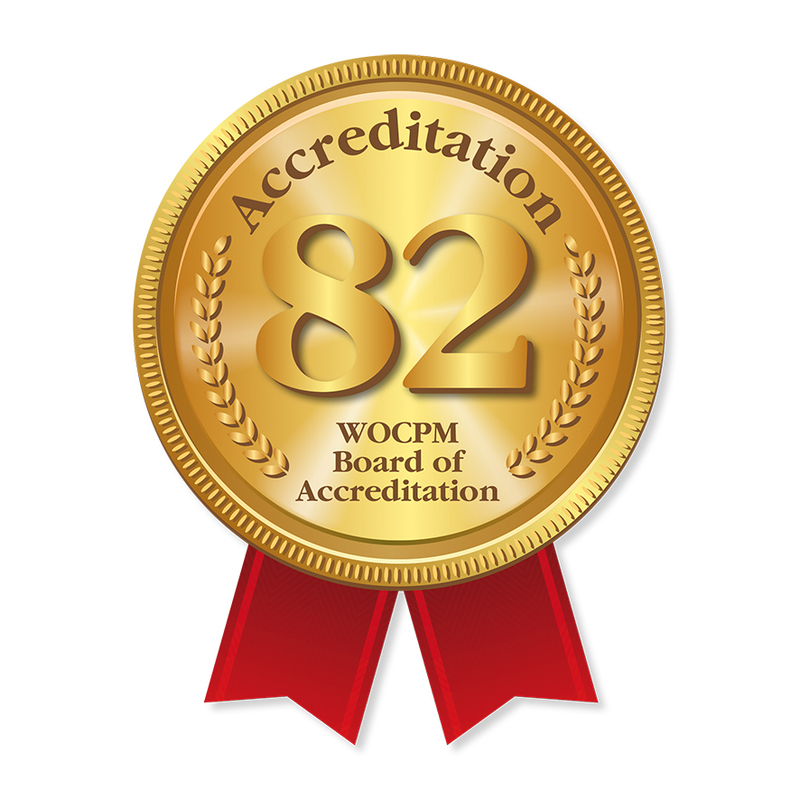 WOCPM is first and foremost a scientific organization, open for membership exclusively for those physicians with a University degree in Preventive Medicine. WOCPM seeks to spread the word of Preventive Medicine and to disseminate information concerning preventive, regenerative and anti-aging strategies to increase longevity. WOCPM advocates Evidence-Based-Medicine (EBM), but understands that in some early-stage situations, a science-based approach to increase longevity is the minimum". Each product was scored on the 6 categories above. The average of the 6 scores is the individual productscore.